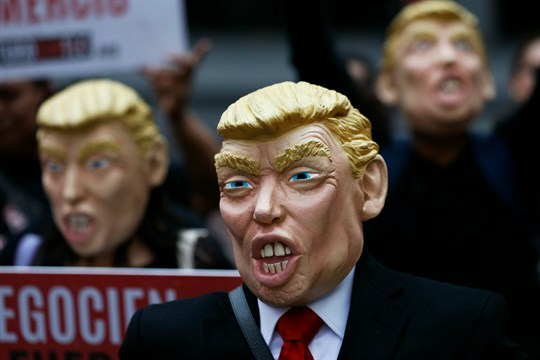 Activists wearing Donald Trump masks protest during NAFTA talks, Mexico City, Feb. 27, 2018 (AP photo by Marco Ugarte). Trying to follow trade policy under the Trump administration makes your head spin. One minute there are going to be big tariffs on billions of dollars in Chinese exports, and then there are not—except then maybe they will be imposed, after all. But who really knows, because a lot can happen between now and July 6, when the latest tariffs that were announced last week are set to take effect.